Time again for the first installment of the month for Battle of the Bands. The song I chose today is a song that I had previously suggested to my good friend Michele at Angels Bark. 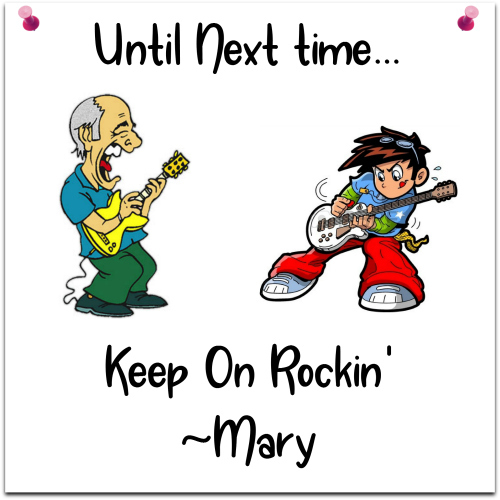 She’s got a lot going on right now and taking a bit of a hiatus, so with her permission I am going ahead and using the song today. Step Three - Comment with your selection/vote. The comment section has been set up so that anyone can leave a comment. I do ask that you please include your name, should you use the anonymous feature. Today’s contenders are Cake and Starflyer 59. These are the only contenders that will receive votes today in this battle. Today’s song is not to be confused with Jerry Reed’s “Guitar Man”. That is a completely different song. "The Guitar Man" is a song written by David Gates and originally recorded by the rock group Bread, of which Gates was a member. It first appeared on Bread's 1972 album, Guitar Man. 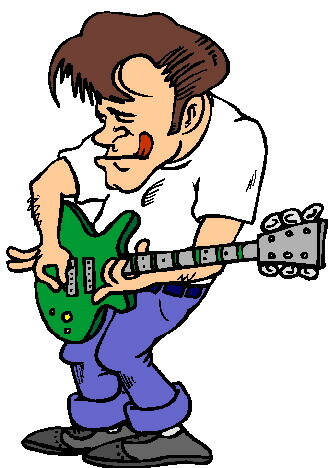 The song is a mixture of the sounds of soft rock, including strings and acoustic guitar, and the addition of a wah-wah effect electric guitar, played by Larry Knechtel. It peaked at number 11 on the Billboard Hot 100 chart in the United States and their third number-one hit on the easy listening chart, (following "If" and "Baby I'm-a Want You"). Today’s battle is between two bands that got their start in the early 1990’s and are still performing. They are both from California - with Cake being from Sacramento and Starflyer 59 being from Riverside. Another coincidence about these two bands is that they both recorded their covers of this song in the early 2000’s. Both bands main genre is alternative rock, but both have dabbled a bit into indie rock. Let’s see how these two bands have done covering this soft-rock song from the 70’s. Be sure to give each of them a listen and then comment with which cover you prefer. 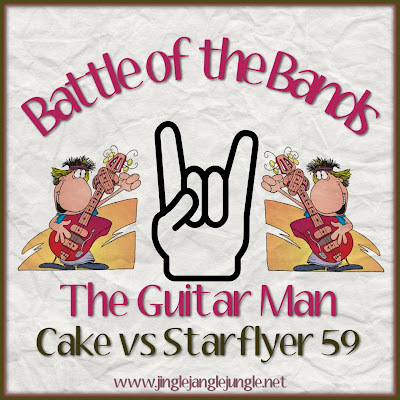 Alright now… Cast your votes for either Cake or Starflyer 59! Voting will end on Thursday, February 7 with results being posted on Friday, February 8. It's 2019, and my New Year's resolution was to try being "the kinder, gentler Stephen", but I give up already. It's just too ha-aaa-rd! I'm voting for Starflyer because... they're not Cake. I know this song - the original - by $$$$$ (aka Bread). I like Bread pretty well. This song, well, eh. It's OK. But it's certainly no 'Make It With You'. But here's the thing... I'd never heard of Cake until Larry C. (aka DiscConnected) used them in a BOTB installment a million years ago. And I gotta be honest, that singer can't sing for beans! He makes Bob Dylan sound good. Hell, he even makes Neil Young sound like Sinatra. How come no one has ever had the guts to tell him that he's [Link> flatter'n Teri Garr? My Brother, Nappy, is the worst singer I've ever heard. The guy who's the so-called "singer" for Cake is barely half a degree better'n Nappy. But like a car wreck on the Reno freeway, I find him fascinating! I don't *WANT* to listen to him, but that morbid part of me keeps listening to see just how bad he can get and yet still make a living doing this. There's a cat in heat that yowls around my backdoor some nights, and she's a better singer than the girlie-man Cakeboy is. Oh, wait. I remember now... the kinder, gentler STMcC! MMQE, I vote for Starflyer 86. Both versions be grate, but I think Starflyer 86 is greater. So you don't like Cake? Haven't you heard - it's the best thing since sliced 'Bread'! See what I did there? And I bet Nappy CAN sing. You're probably just a little bit jealous. How about you? Do you need a bucket to carry a tune? Hope the move is going smooth! When you said you were moving to a nearby 'city', I thought you meant the one named after a state - not the one named after the late night television host. Appreciate you taking the time to stop in during your 'work break'. It's awful good to see you here. I can't stay long, but figured I'd respond as I still have AlGoreNet for another day or two. >>... And I bet Nappy CAN sing. And I bet you'd lose every penny you bet. Nappy really IS terrible. Seriously, he can't even sing 'Happy Birthday'. I know it sounds like I'm making a joke but it's not. Not only can he not maintain the simple melody of 'Happy Birthday', but he drags everyone down with his super-slow tempo. Nappy's a really good athlete, and he could kick the crap outta guys three times his size... but he sings about as well as Barney Fife. 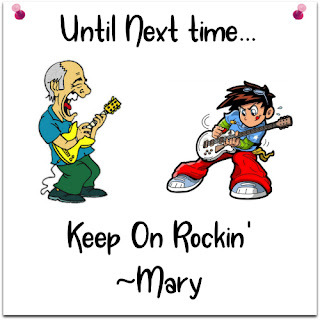 I can't really sing either (even though I was in Boys Chorus in junior high school), but I can still sing better'n Nappy AND better'n Cakeboy. Damn! That guy's B-A-D-! I'm not going to name any names (because they've all outed themselves in their comments below), but I'd be willing to bet that everyone who thinks Cakeboy can sing and was worthy of their BOTB vote also still thinks that American astro"nuts" walked on the Moon and returned to yak about it. I mean, seriously, you really gotta be willing to pull the wool down over YOUR OWN eyes to fall for either of those things (Cakeboy as a singer and Moonwalks, I mean). But, hey, never a need to justify a BOTB contestant. Heck, even I have used the B-52s and Pete Seeger in BOTBs in the past. Sometimes it's fun to throw the dogs against the wall and see if they stick. Ha!-Ha! >>...Sometimes it's fun to throw the dogs against the wall and see if they stick. Oh... you mean like your past battle with Stevie Nicks and Tiny Tim? Hopefully it will be more like RAMS later. I'd hate for the Cheatriots to win this game. >>... Oh... you mean like your past battle with Stevie Nicks and Tiny Tim? Yep! Eggzackly like that one! And as that particular Battle proved, not only does the dog sometimes stick, but sometimes she even WINS! I've always liked this song and still do. Something about it reminds me of something that Neil Young would have written. I'd love to hear Neil do a version as I think it would fit his style well. This is an easy vote for me. Starflyer was well done, but I'm definitely a Cake fan. They give this song a more legitimate feel in my view. A vote for Cake (the food and the band). I agree, it does sound like something Neil Young would have written. I did find a video that I thought was rather interesting - I'll be sharing that one in the results post. I am not into Cake at all nor that voice. I give it to Starflyer with that faraway voice and the dreamlike music that goes with it...I enjoyed that 2nd one a lot. No cake at all? Well, to be fair, I prefer brownies myself - so I get it. Oh, you mean the band! Silly me. Thanks for stopping by with your vote! I liked Starflyer 59's version better than Cake's but both were good. I like the slide guitar in Starflyer's cover. Starflyer does offer up a good version. Thanks for coming by. I'm not crazy about either band. My first thought about Cake is, 'Oh wow, this is flat!" Of course, I'm thinking about Bread's original with David Gates heart felt vocals pouring out the words. Starflyer made me feel like I was having halluications of the hearing variety instead of with my head. I'm not sure I can explain it but it's a bit pscyhodelic but not like the 60s and 70s mewsic. Does that make sense? I'm not very good conveying exactly what I mean since feelings are harder to express. Anywho, I think you're right Cake's style grows on you. It might not be something you wanna listen to all the time and I'm not even sure I'd buy any of their mewsic but for this BoTB round Cake gets my vote. I might have been tempted with the mental suggestion of having cake which swayed my vote but I can't say for sure. :D Interesting battle! The power of mental persuasion is in full effect. It might have been that auditory hallucination that made you crave cake afterward. Who knows. This is certainly an interesting battle. I agree, David Gates is the best. This has been an interesting competition. Cake gets my vote this time! I am going to take Cake's version. This song isn't my cup of tea but Cake's version reminds of 70s rock and it was more pleasant to my ears.